Stick incense with a stronger fragrance than our regular sandalwood incense. 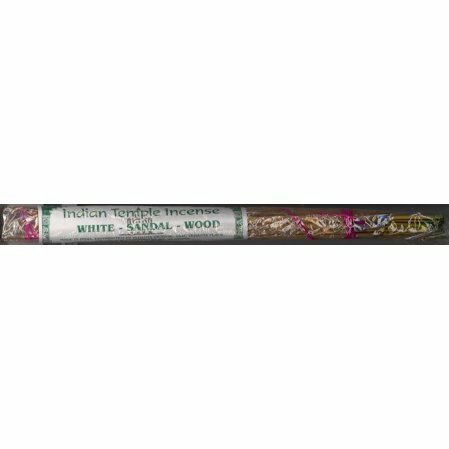 Stick incense that is another variation of our popular Sandalwood Incense. Has a stronger fragrance than our regular sandalwood incense. Please note that we may have to send the incense separately from any books ordered. According to postal regulations, incense cannot be sent at media rate. Freight charge may be higher. I love this incense and would burn it all the time. However, it is heavy, and it gets in my hair and stays the rest of the day. While I love that, I do not want to overwhelm anyone with the scent. It leaves a residual scent behind after burning too, and, again, I love it.